The Call of Duty XP convention is coming up on Sept. 2nd and 3rd in Los Angeles, and up until now most of the details just told us we could buy tickets on July 19th. Well, the Call of Duty is all about the military, and no armed forces can operate without maps and mission briefings, so now we’ve got a bit more info for you. 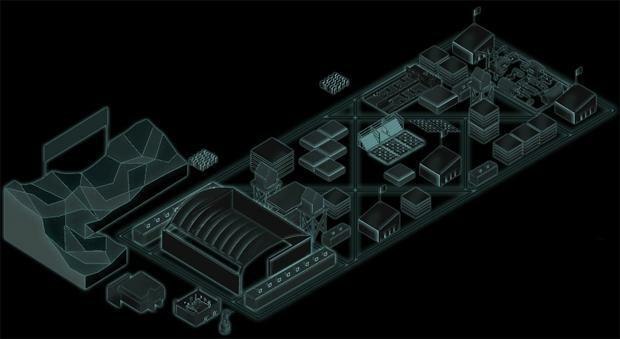 First up, the image at the top of the map is the layout of the convention space. Parts of it are still “classified”, but so far they are showing you where the armory is where you will get to see the real counterparts of your favorite weapons. Also “declassified” is a life-sized recreation of the map “Scrapyard” from Call of Duty: Modern Warfare 2 where you will be able to play out epic-sized paintball battles. As for the map in general, there does appear to be a couple of good places for claymores and sniping positions. Secondly, tickets will go on sale on July 19th at 1:00 PM EDT sharp, that’s 1300 hours for those of you wishing to keep with the military theme. Tickets are still $150, but remember it all goes to charity. There is also some new information on the site about the $1 million dollar tournament, and one four-person team will go home with a cool $400,000 on Sept. 3rd. $100K for shooting up strangers? I so want to be there … so I can be eliminated in the first round. What can I say, I’m the giving sort. What do you think? Are you planning to hear out to Los Angeles for this unique event?